We’re an email marketing software and services company that has worked with everyone from Fortune 50 companies down to mom-and-pop operations. SendLabs now focuses solely on working with advertising, interactive and marketing agencies. We provide the same core email marketing features as most applications with some advanced functionality like social network sharing, cart abandonment capabilities and dynamic content. We are always looking for ways to improve our software, focusing on a great user experience instead of a cluttered, hard to navigate disaster like some other ESPs. We are the only ESP who no longer sells direct, instead growing our business with a focus on supporting the needs of advertising, interactive and marketing agencies. In addition, we support and service multiple software vendors and private label partners who require top-level email marketing solutions they can call their own. We offer both private label and open partner options with differing advantages to both. The SendLabs team eats, sleeps and breathes email marketing. We’ve got it down. So while the email protocol is a simple one, email marketing is not. Our approach is simple to agencies: let us worry about managing the complexities of supporting applications, databases, security, backup, throughput, delivery, ISP relations and more. 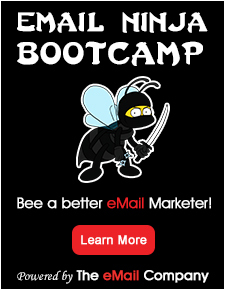 You worry about packaging and selling email marketing services to your existing clients and prospects.